How-to guide on uploading your event agenda. 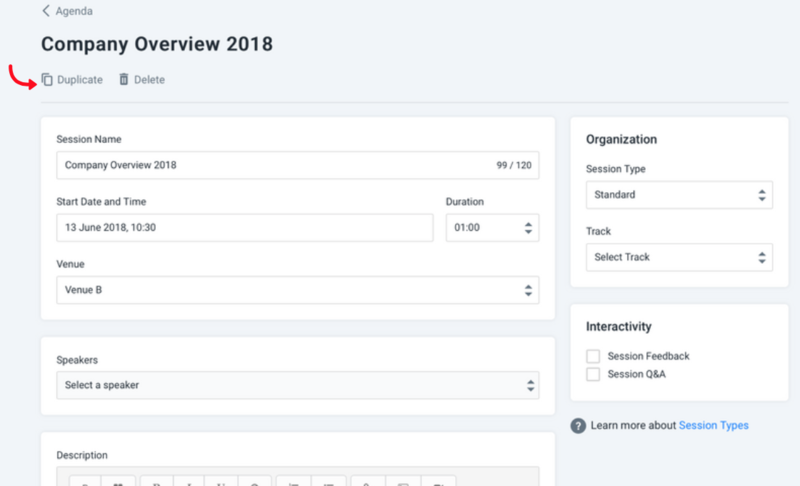 Adding your agenda to your event app is effortless with our easy to setup dashboard no matter how complex your agenda format is. Include a single or multi-day agenda, link your speakers to a session, add documents, venues, session descriptions and interactivity options. Complete the excel template. Importing sessions by Excel file requires a specific template. Please make sure you make use of the correct template - the structure of the document can't be modified. Import your completed agenda template. Speakers - please note you first need to add your speaker profiles before you can link them to a session. Basic sessions will only have the session name, date/time and duration. There will be no session description, speakers linked, tracks or interactivity options. Standard sessions need to be attended by all the event attendees and there are no other sessions taking place at the same time. 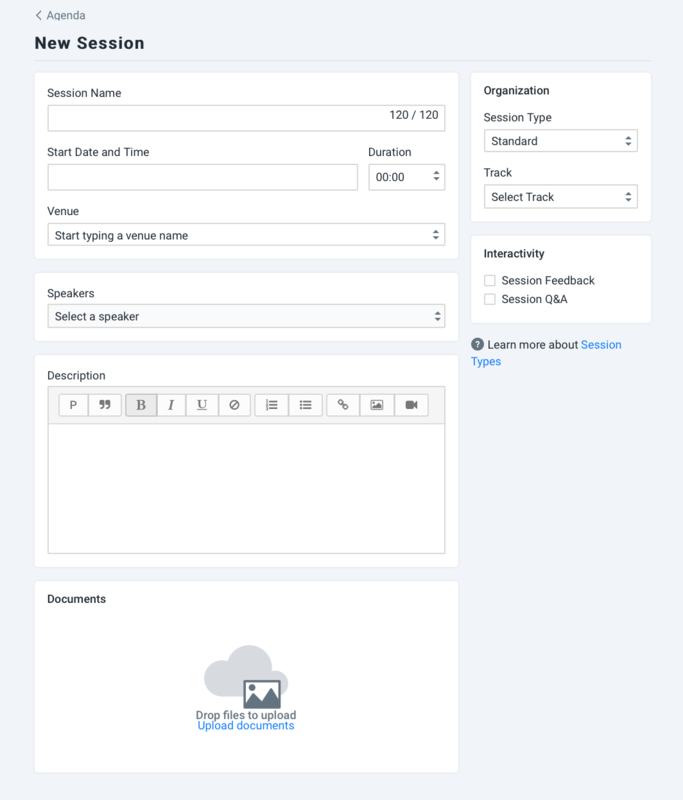 For standard sessions you are able to add tracks, session description, link speakers and interactivity options. Optional sessions will typically be used for breakaways sessions taking place at the same time. Each optional session can have an attendance capacity, session description, linked speakers and interactivity options. Attendees are able to book an optional session inside the app or you can preallocate them to a session. 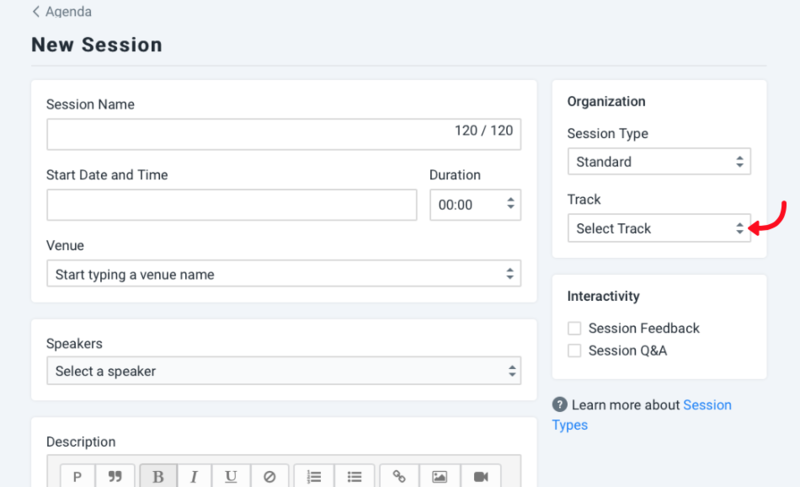 Add tracks to your agenda to divide session into categories. 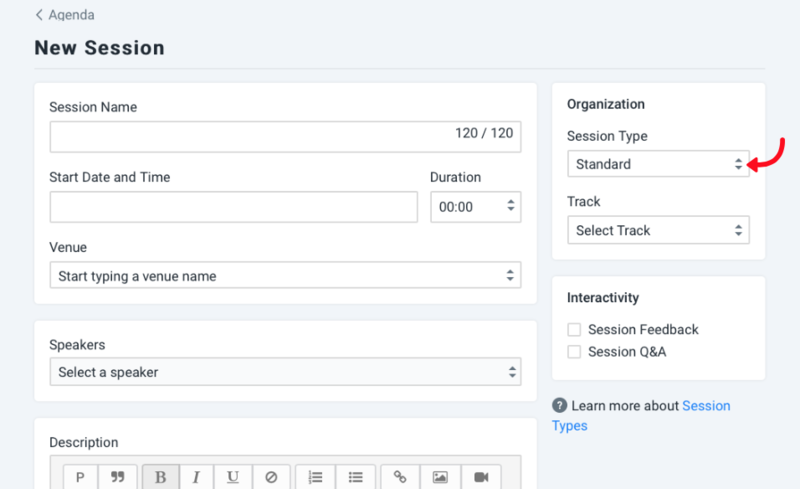 Multi-tracks are used to direct your attendees faster in the agenda and to identify sessions. Each track can have it’s own name and colour. You can describe your sessions in terms of type, categories or locations.